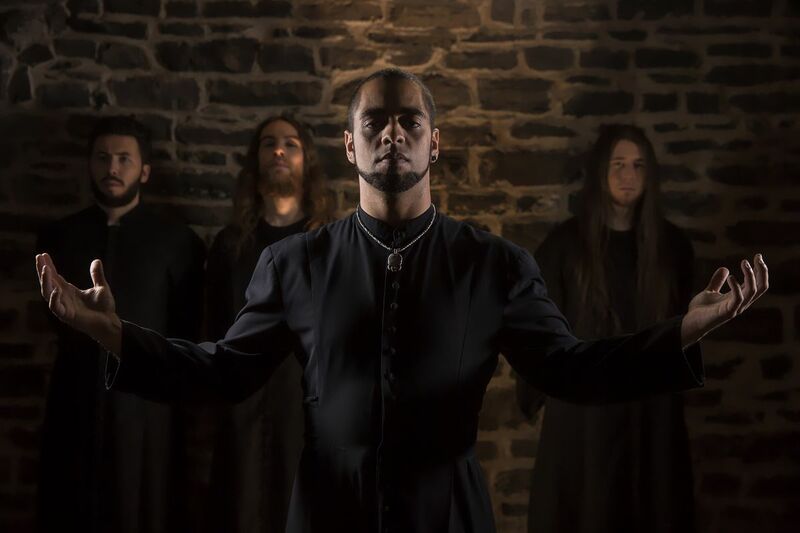 Formed in 2007 in Quebec City by Antoine Guertin and Achraf Loudiy, Aeternam has been preparing to unleash their own brand of epic death metal upon the world. Combining classic death metal song writing with epic melodic soloing and middle-eastern influences, Aeternam fine-tuned its craft and made it into a perfect blend of brutality and melody. The sheer amount of talent and creativity inherent in Aeternam is refreshing and fans of metal everywhere took notice once the band’s debut studio album “Disciples of the Unseen” was unleashed upon the masses in 2010. The album, produced by JeF Fortin, contains 10 tracks of pure intensity, crushing riffs, pounding bass lines and brutal growls paving the way for epic solos, acoustic melodies, ambient keyboards and large vocal harmonies. Fans of Behemoth, Iced Earth and Melechesh will most certainly find something about this band to enjoy. Canada’s Aeternam joined the Metal Blade roster in May 2009 and continued locking down shows in the great white north, including dates with Behemoth in Montreal, at the Trois-Rivières Metal Fest alongside Suffocation, Unexpect and Quo Vadis, just to name a few. In October 2012, the group moved to another level by releasing its second album entitled “Moongod” and confirmed its particular sound signature. The collaboration with Jef Fortin was a success for their debut album, therefore they decided to continue working with him. “Moongod” is a continuation of “Disciples of the Unseen” having developed in maturity and sound as well as having grown into a new context: “Symphonic Ethnic Metal”. Clean production, epic orchestrations, lyrics that surely will give your brain a workout, memorable song writing, top-notch musical execution are all the characteristics that coalesce into the great experience that is “Moongod“. A boatload of fun and headbanging is guaranteed! The band parted ways with Metal Blade Records and joined Galy Records roster in 2012, supporting bands such as Overkill, GammaRay, Ex Deo, Krisiun, Septic Flesh, Melechesh, and many more. In 2016, after taking a writing break of two years, the band announced that they were making a concept album entitled “Ruins of Empires”, depicting tales of nine rulers of the ancient times. Each song will take you to the past, in a musical and lyrical way, to experience the colorful atmosphere of a glorious figure. Produced by Jef Fortin for the third time, Aeternam wants to stick to its winning formula, while experimenting different cultural sonorities. The band released its first official video for the song Damascus Gate in January 2017, bringing a powerful visual dimension to their sound. “Ruins of Empires” is set to be released on February 10th, 2017. The band hopes to broaden its dominance and conquer the world by touring in support of the new album.